Hello Reader! Love Disney Films? How about a remake of a classic turned live action? We Got Cinderella now we get another so check the trailer and news below. The Jungle Book go’s live action in this upcoming release that is heavily CGI’d. From the trailer we get Animals taking car of a kid, Animals fighting each other, Scarlett Johansson doing the voice over for the trailer and things seem to get dark. The film has a ton of good actors but one thing is not sure is, are they doing a voice over for the Animals? Trailer doesn’t show them talking , mainly fighting. Even thought its super CGI’d I feel the film might be a cool watch as the tone is gritty and dark feeling. Blu-Ray Viewing for me, It’s just not Big Screen in my eyes. Side Note: After check out who is acting in this, I find out that a lot of the actor will be voice acting for the animals. Could be a weird thing to see. How about you? Check the trailer below and post your thought s on this film. Good? No Good? Maybe you will check it out? 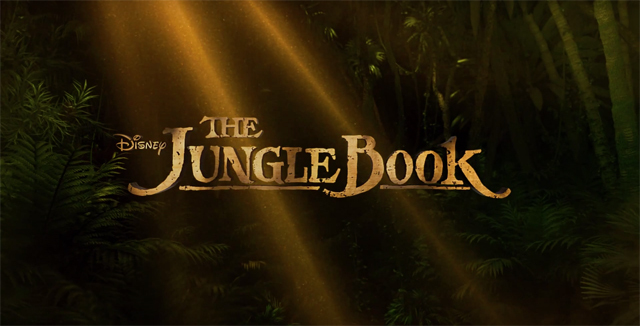 Plot: An orphan boy is raised in the jungle with the help of a pack of wolves, a bear, and a black panther.